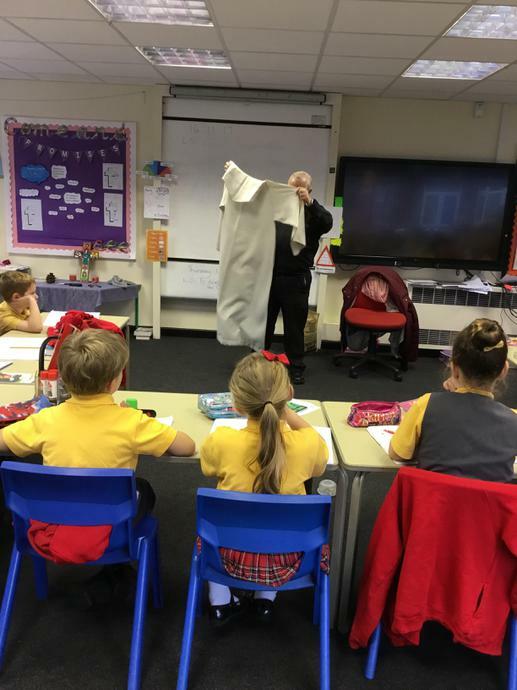 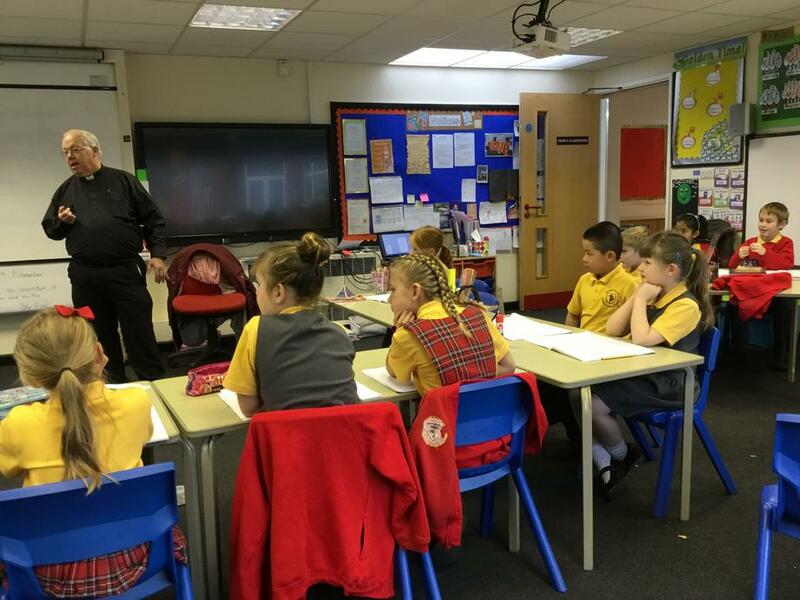 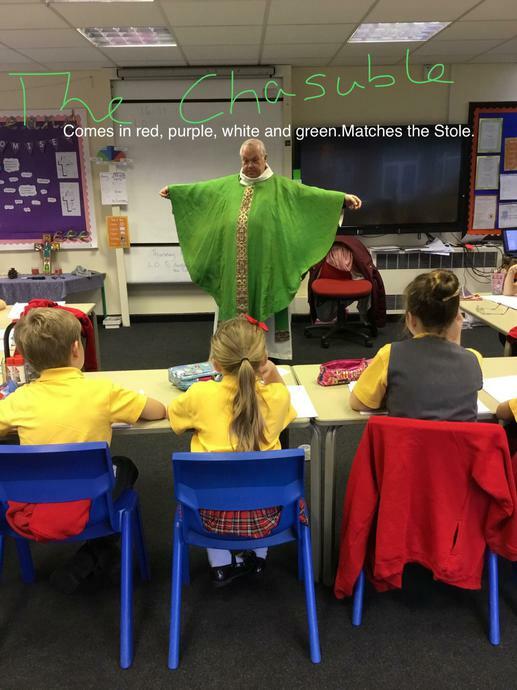 The children were lucky enough to receive a visit from Father Ball this week and got the chance to ask lots of questions about his vestments and the colours they came in. 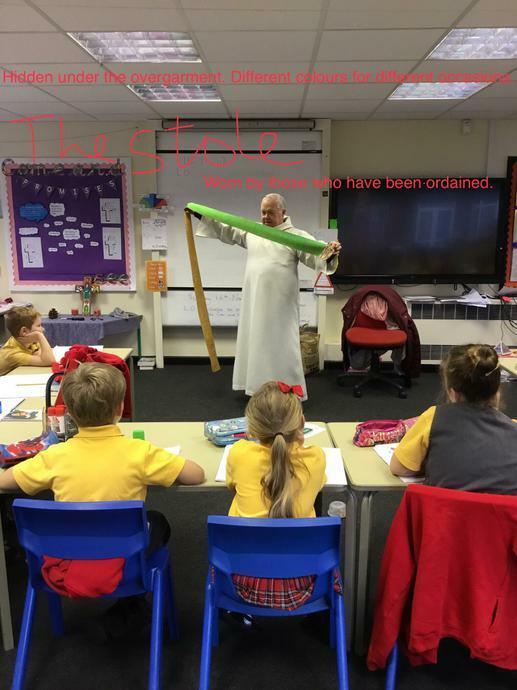 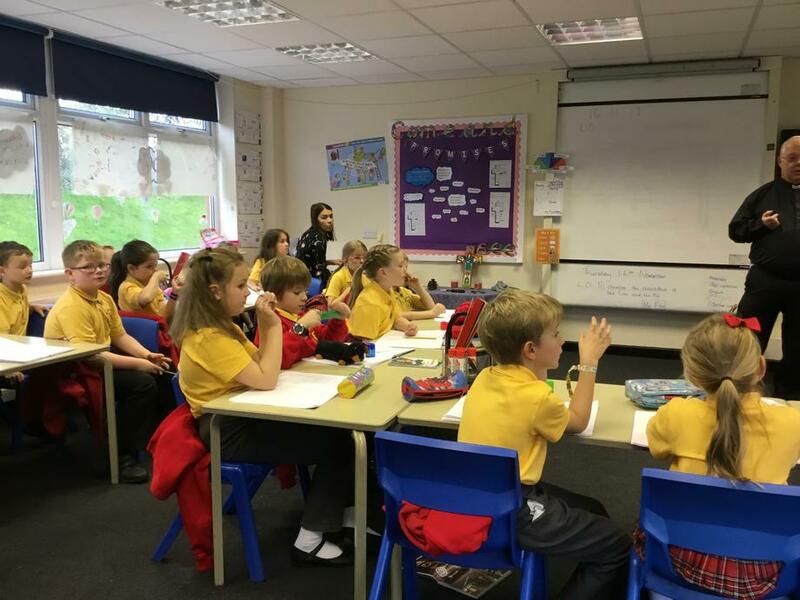 The children asked some fantastic questions, leading to all of the information captured in the pictures below! 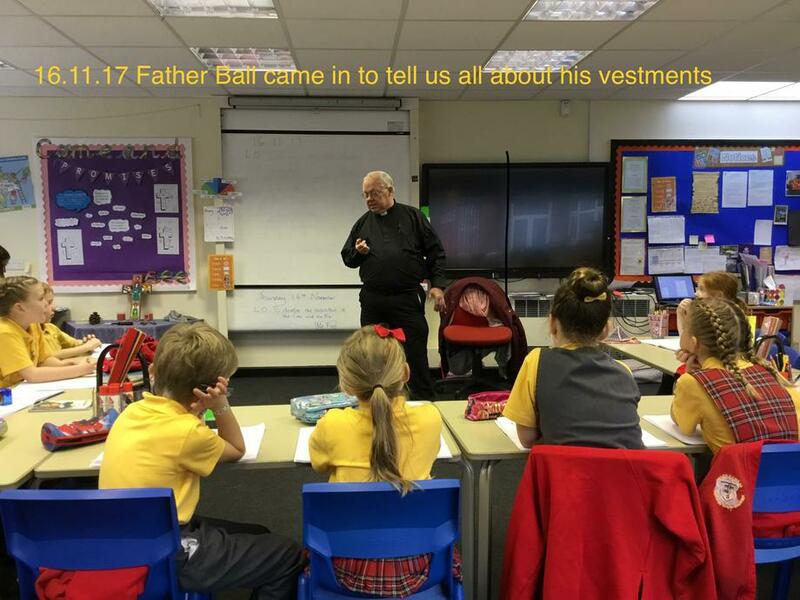 Many thanks to Father Ball for his time.